When I was researching about the amount of blood donated in my city, I was shocked to know that most of the blood donation was required to the fatal accidents. When I dug deep into the news, I came across the government data detailing about the road accidents occurring everyday. It was stated that on an average 400 people are killed in road accidents daily, and this costs $5118 billion globally, costing individual countries from 4-6% of their annual GDP. These road accidents are caused only because improper driving and low-maintenance of vehicle. Later when I was travelling outstation on my car Ford fiesta, I suddenly experienced a breakdown. There was no mechanic or help I could get from near by. Regretfully, I had to do it by my own. These situations had given me a deep thoughts to take an initiative and pushed me to do bring some groundbreaking solution and head towards some innovation. This is how I came up with “KarConnect”, which is a product under my new venture DriveSmart Telematics Pvt. 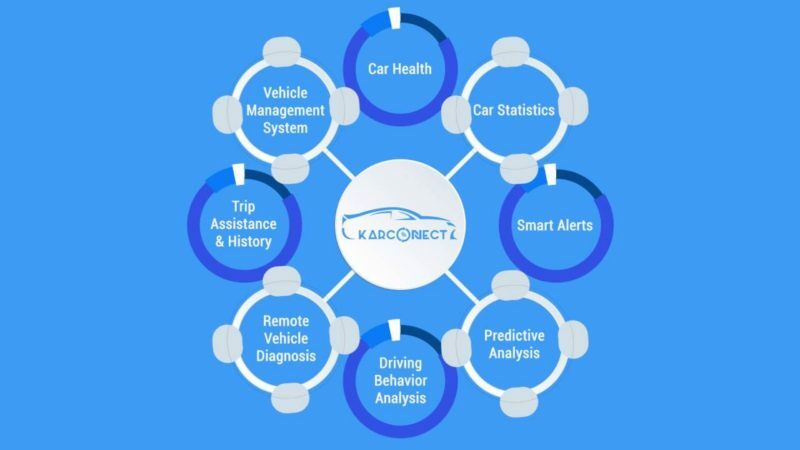 Ltd.
KarConnect is the key to unlock the world of connected car platform. It is a smart technological combo of two components – 16 Pin OBDII Chip (Hardware) and mobile application (Software). KarConnect Device is plugged in your car’s OBDII port, fetches data from the ECU (Electronic Control Unit), does data crunching and send it to the server for further analysis. The application will receive insights from the KarConnect device detailing you with seamless reports and predictive alerts. What Type of issues are tackled? The in-built GPS and GPRS module in the KarConnect chip helps in continuous real time tracking the location of your vehicles. The application also gives you details about fault codes (self-diagnosis) which can avoid a potential breakdown of the car and accidental damages. The application gets you the list of all Service Centers based on the location or nearby. KarConnect also caters real time tracking of the vehicle and driving behaviour showing all the parameters remotely. So, the product is equally useful for both, businesses and the individual users.